Hope you are all doing well! Not sure about you guys but the weather this weekend for me wasn't that great in comparison to the week we just had! It was so cloudy and was barely any sun...boo! Was seriously not impressed haha. Hopefully this week will be a little more different! Although, i am super excited as my parents surprised me to a spontaneous trip to Barcelona next week! So cannot wait to tan it up over there for a few days! 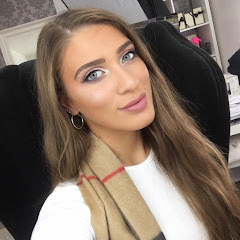 I went out with the girlies Saturday night and i decided to rock one of my current favorite lipstick right now which i picked up recently in my 'Chanel Summer 2013 Makeup Collection Haul' a few posts ago. It is a beautiful coral shade which i am loving lately! Also, how fitting...it is actually called 'La Favorite'. 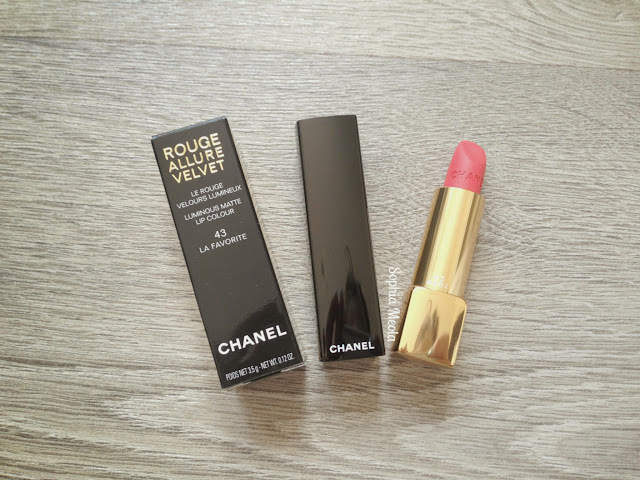 Chanel must have read my mind because this beautiful velvet matte coral shade was pretty much destined to be one of my favorite lipsticks in my collection and will be for sure for the up coming summer months. La Favorite is described as a 'glamorous coral red shade' by Chanel. I can definitely see why, however, when i swatch it and apply it to my lips it is a much more coraly pink shade. Even though the finish is a matte it does leave a silky sheen look after application. It applied like a dream, extremely smooth and it did not sink into any lines. With other Matte lipsticks i find they can be quite drying on the lips, however, this Rouge Allure Velvet was not drying at all and i was pleasantly surprised at how well it stayed on my lips throughout the night! When applying for the first time i did notice that it applied a little sheer, not completely an opaque shade on the lips. The Rouge Allure range are meant to be quite pigmented in comparison to the Rouge Coco Shines which leave a sheer wash of colour to the lips. After leaving the lipstick to settle on my lips for a few minutes i then went back and applied another coat just to amp up the intensity and i honestly have to say i am completely in love with it! After application i used the powder and tissue trick...and added a light dusting to ensure that it was not going to budge all night haha. Even though i applied two coats of the lipstick to my lips i found it incredibly lightweight and barely noticeable. I did notice a little transferring when having a drink before we left for the night but nothing too drastic at all...after looking in the mirror i still had a good amount of lipstick on and you wouldn't have been able to tell i had a drink. 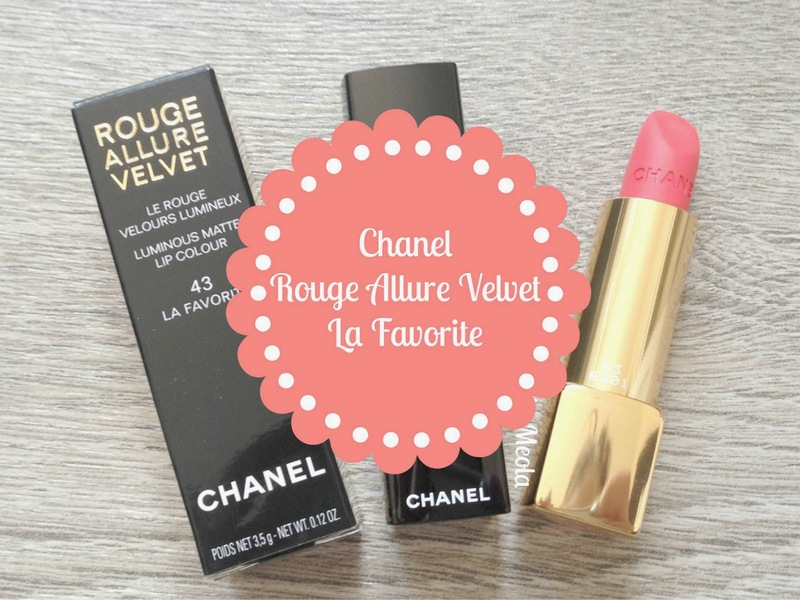 Overall, i would definitely recommend the Chanel Rouge Allure Velvet line and this beautiful lipstick shade to anyone. It's the type of shade that would look stunning on a wide range of skin tones and would look different one everyone. 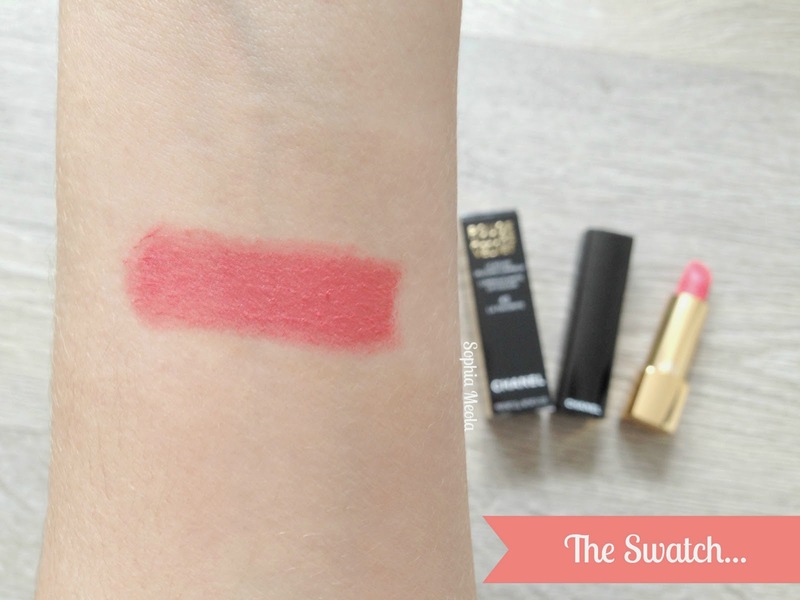 I do believe that this lipstick was part of the Chanel Spring 2013 Makeup Collection so i would assume that it is Limited Edition...which is really sad because i actually don't know what i'll do when it runs out! Such a pretty lippy! Lovely colour, I love the outfit you are wearing at the bottom of the post too! Pretty colour and lovely outfit! Such a sucker for a Chanel lippy! I love this colour, you really suit it! And the quality of chanel is perfect. I love Chanel lipsticks! You look great.